The military serves as the inspiration for Size? UK's latest 10th Anniversary collaboration. The latest 10th Anniversary collaboration from Size? 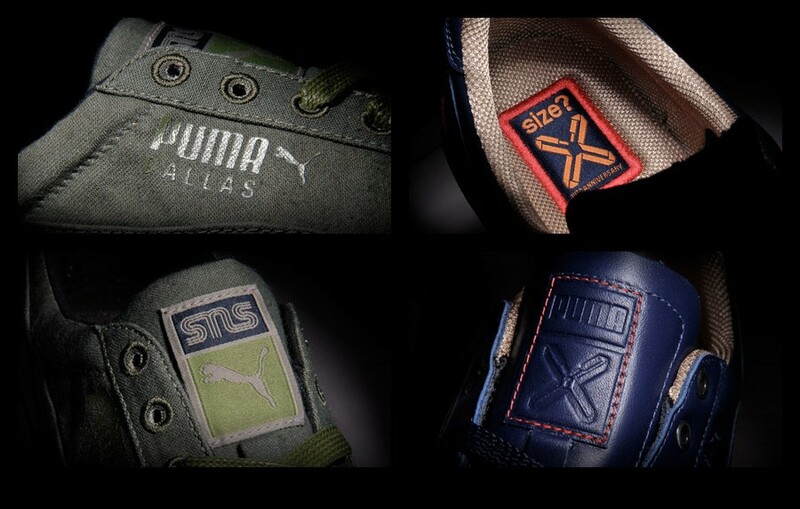 pairs them with Sweden's SneakersNStuff. 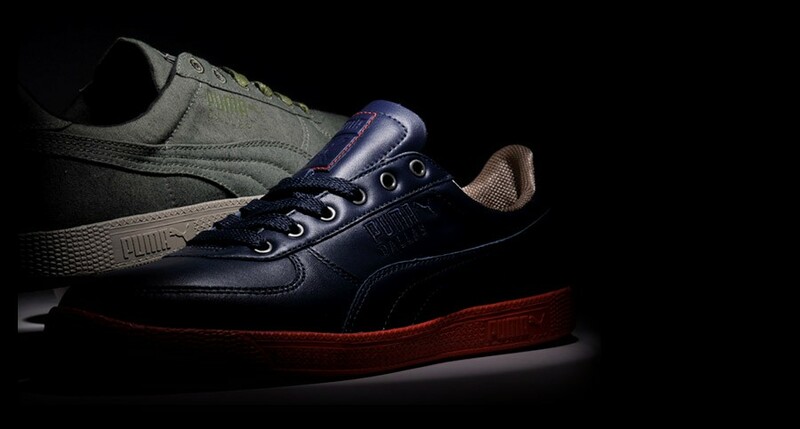 The two sides worked on military-inspired versions of the Puma Dallas shoe. SNS drew inspiration from the Swedish military issue M90 camouflage, using a rich green canvas for the base of the shoe. Size? opted to salute the Marines, dressing their shoe in deep navy leather, with red accenting and gold lining. Limited to 150 pairs each, the Size? x SNS collaboration will launch on November 13th.